Michael started his career in Mid-level management in Tesco and from there decided to return to college to further his studies and develop his future prospects. 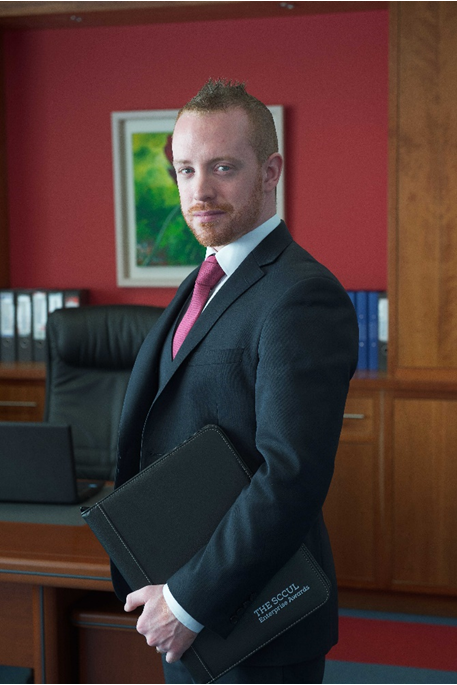 Michael graduated having completed a BA in Business and Communications through the medium of Irish in June 2012 in G.M.I.T. Since then Michael has of complete a Masters in Strategic Marketing in NUI Galway. Michael is currently Chief Executive Officer of SCCUL Enterprises CLG. SCCUL Enterprises CLG is a registered charity set up by but independent to St. Columba’s Credit Union, Galway in 2002. As a not for profit, social enterprise SCCUL aims to champion societal change by promoting community, enterprise, wellbeing, and social inclusion. This is achieved through several successful initiatives operating from the West of Ireland; SCCUL Enterprise Centre, Bizmentors®, SCCUL Sanctuary, Saol Café, SCCUL Awards. Michael has the experience of establishing his own business in his third year in college whish he has since sold and believes that this experience along with his 5 years in third level studies serve him well when dealing with SME’s.